This is a sponsored post with Foster Farms. All thoughts and opinions are my own. Football Season is in full force now, and I don’t even check when my husband is yelling in the living room. He has the TV on lockdown during this time, and so my DVR is working overtime. Next week starting December 16th through the early part of January there will bowl games pretty much every day. Kiss my TV and Hubby goodbye for a couple of weeks. However, he does want to know what kind of game day food I’m going to make this year though. So here we go..I need to come up with game day food and I know Foster Farms has my back. 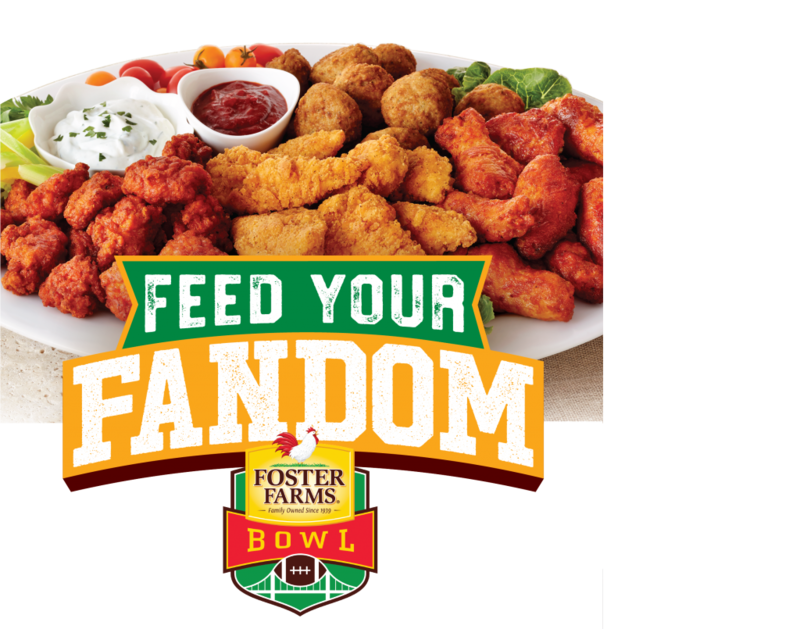 During this time there are many great opportunities to Feed Your Fandom with Foster Farms while watching the bowl games. Being from the Bay Area, it is so cool that the Foster Farms Bowl and the exciting matchup between the Pac-12 and the Big Ten will be airing on Fox Sports on December 27th at Levi’s Stadium in Santa Clara, CA. 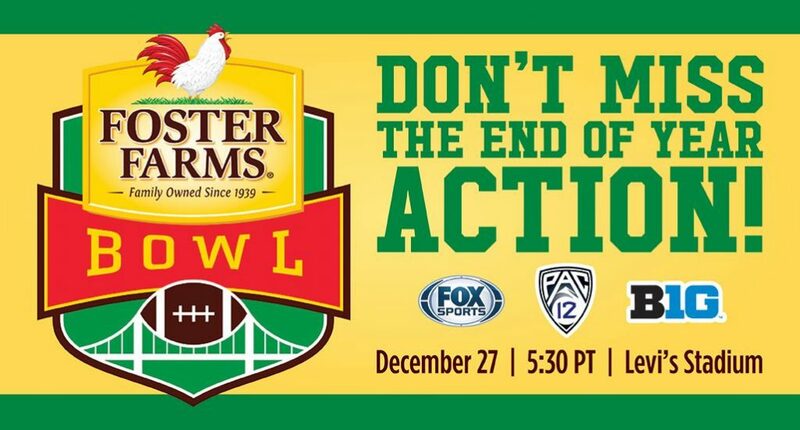 Plus every ticket sold to the Foster Farms Bowl on December 27th generates a donation to local area food banks. We all know that Foster Farms has a great line of products for my game day needs. Whether it’s a platter filled with wings, nuggets and corn dogs, Foster Farms has us covered. Ground turkey for tacos, chili or juicy burgers. Foster Farms chicken breasts and legs marinated in your favorite sauce and grilled to perfection. Or Foster Farms sliced turkey that goes great for those game time hoagies and sandwiches. So many choices but we have a lot of time to create all these recipes during this football season. Are you wondering where you can get Foster Farms products? At participating Safeway, Savemart, Lucky, Foodmaxx, Raley’s and Nob Hills stores, in the frozen section and meat department. You will find a code to scan on specially-marked Foster Farms packages of fresh chicken, ground turkey, and lunchmeat and also on signs in the frozen food aisle that will connect to up to $7.50 in coupon savings when buying participating Foster Farms products. 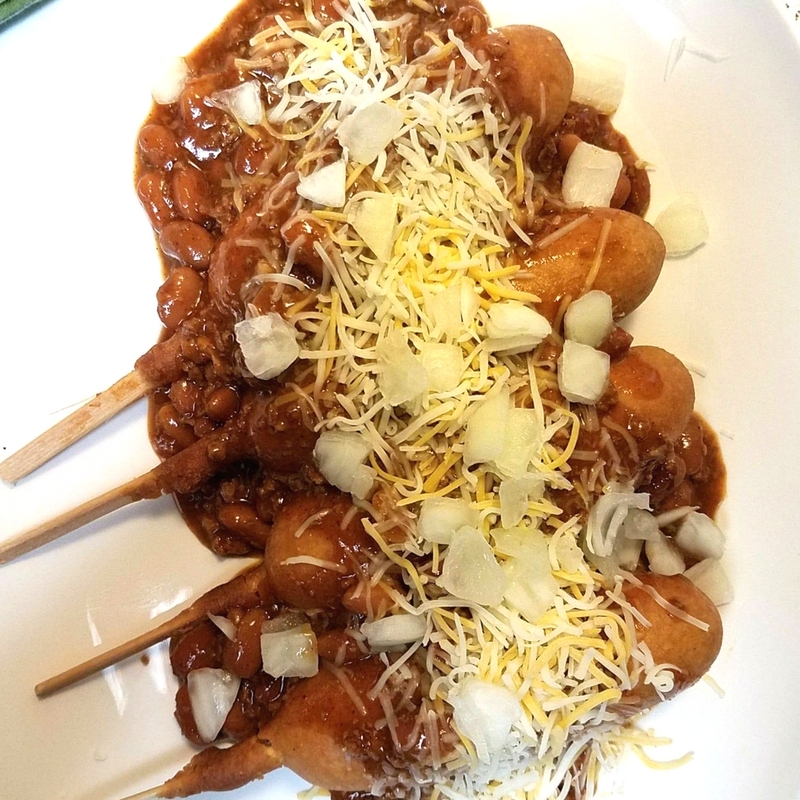 We love corn dogs and chili so why not put them together for a Game Day meal. Now you can use the full-size corn dogs like I did or have some more fun with the mini corn dogs! Also, you can use canned chili (like I did) or make your own! However you make Chili Cheese Corn Dogs, you will love these easy game day ideas. My husband loves finger food when he watches football, so I make sure I include all kinds of finger food. Foster Farms has me covered in the finger food. He loves tacos, pizza and of course CHICKEN. 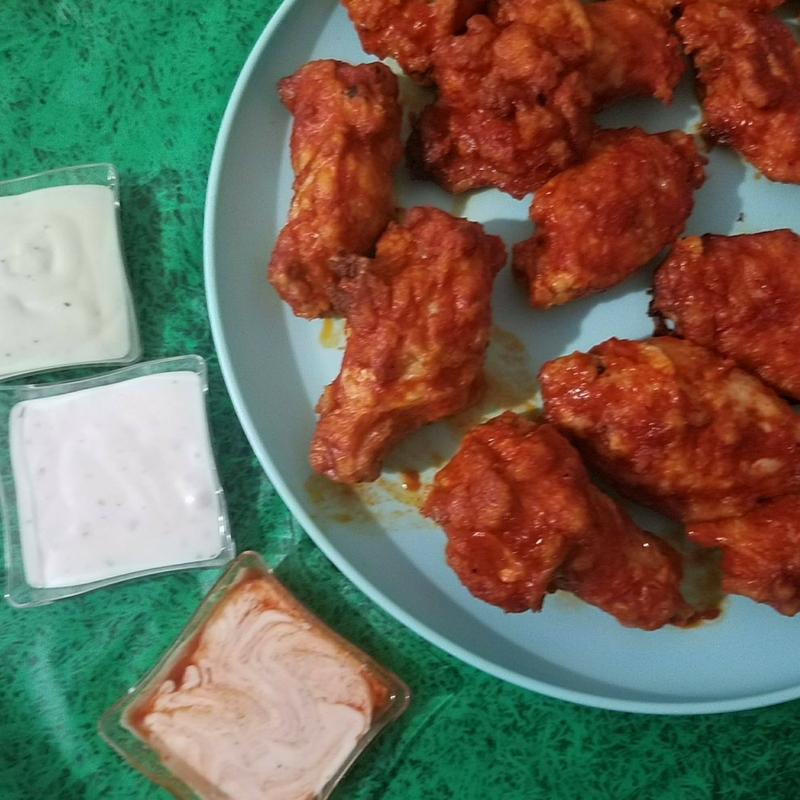 Foster Farms Buffalo Wings is always a hit with the boys, and I make sure I have their favorite dipping sauces- Ranch, Cilantro Ranch, and Siracha Ranch. 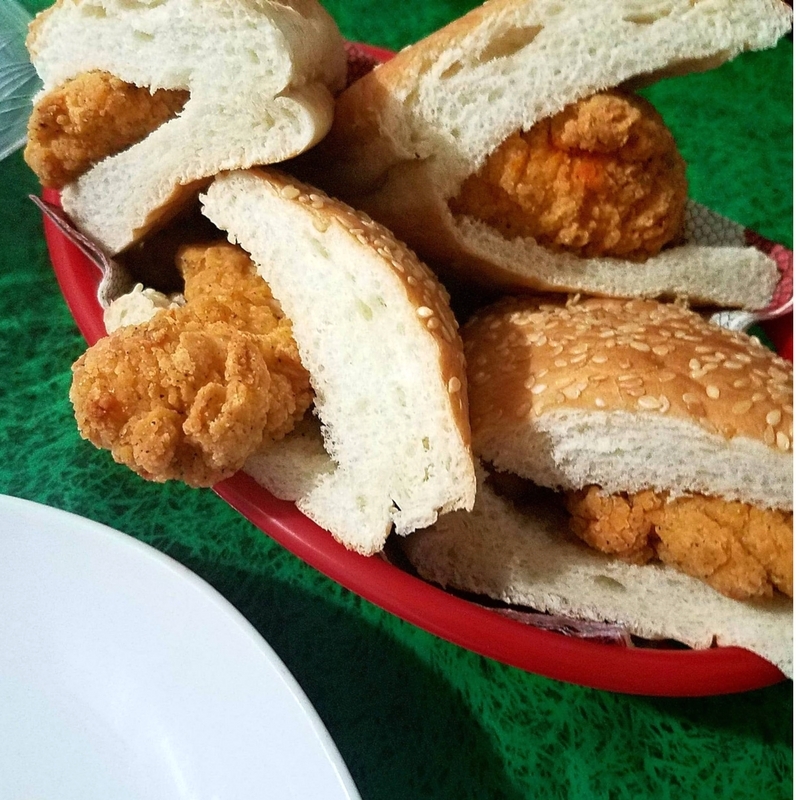 My daughter, she loves crispy chicken, so I make Foster Farms Crispy Chicken sandwiches for her. HOW TO ENTER: This Giveaway is open to US residents only, ages 18 and older. The Giveaway will run from Dec 8th, 2017, until 11:59 pm EST on Dec 22th, 2017. One entry per household. This blog is not responsible for prize fulfillment. Sponsor will send prize so; please allow 2-4 weeks. The strips, nuggets and buffalo bites would all be great for game day snacks, but I like their jalapeno and cheese corn dogs. I would use the hot & spicy wings. I know everyone would love them, and they would go fast…and they’re good! In would make the BOURBON CHICKEN. My family and friends would love this. I would like to use the chicken strips for game day. I would use the the wings to create our favorite BBQ style saucy wings. I would serve BUFFALO BREAST BITES at my game day. The Breast bits, I must say they have come out with some new products , will look in stores next time I go shopping. I would like to serve the Kettlecorn Chicken and the Mini Honey Crunchy Corn Dogs. Buffalo wings for sure. Everybody loves them. I’d love to try the Foster Farms Buffalo Wings . 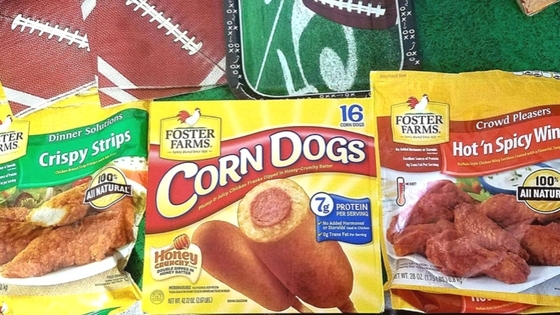 Foster Farms mini corn dogs and chicken wings would be an awesome snack for a Super Bowl party! I want to use the chicken wings for our game day snack. I would try the Foster Farms Crispy Chicken strips. With some honey or ranch dressing. This is much to hard to decide. I know the Hot and Spicy Chicken Wings caught my attention from the start. 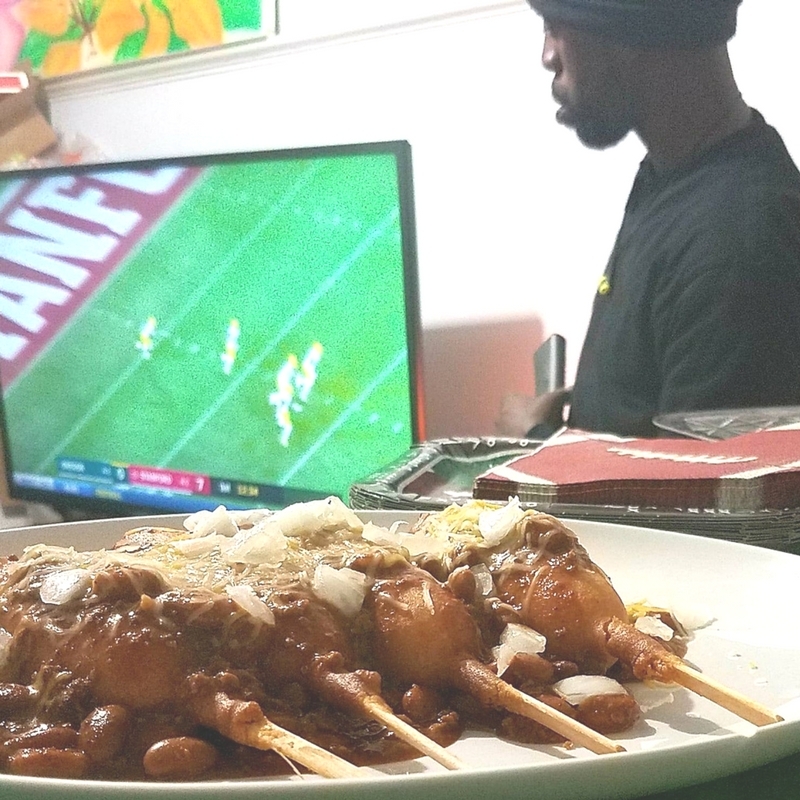 Then those Chili Cheese Corn Dogs you made look delicious and like something my guys would eat right up, all over 24 with appetites to match. I love Foster Farm and I prefer the Organic one. This is a healthy friendly product since it is 100% natural and organic veggie fed. Wow! Those are such delicious finger food ideas. I love that corn dogs. I’ve never had a corndog like that before. It looks delicious! I always put mustard on mine. Game day food is my favorite! Those chili corn dogs look absolutely delicious. The chili corn dogs are going to be the favorite in my house. 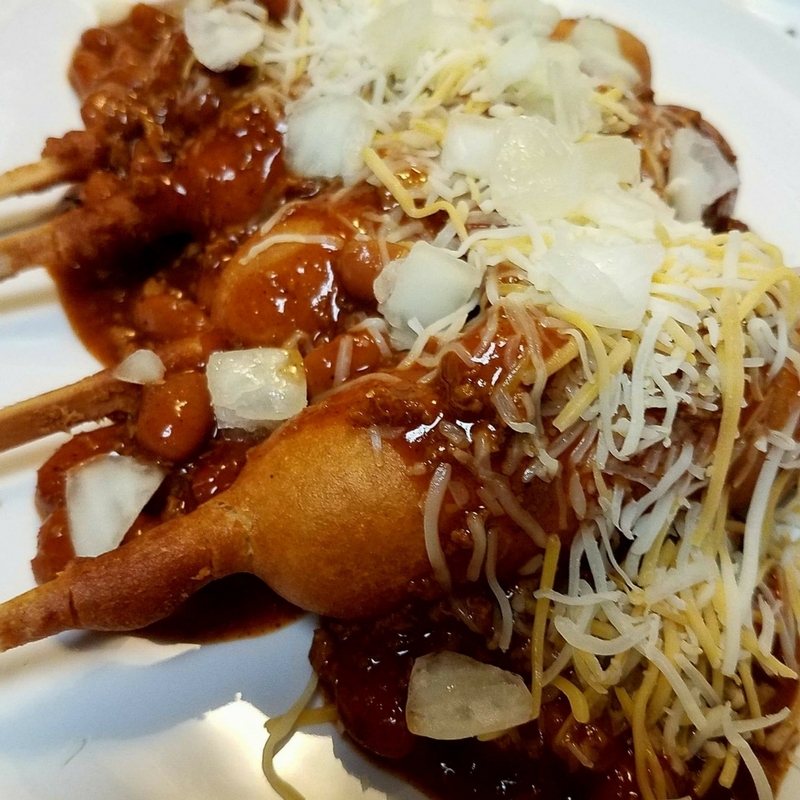 My boys love their corn dogs and to have it topped with delicious, mouth watering chili is the best! We love the corn dogs. I got new ideas for them with this post. I would definitely dig into them hot wings. I like mine with ranch and celery and carrots. Finger foods are so fun! And easy to eat. I like them. Corn dogs and buffalo wings are the best on game day! I would like to serve their hot wings. Chicken strips and corn dogs for us!